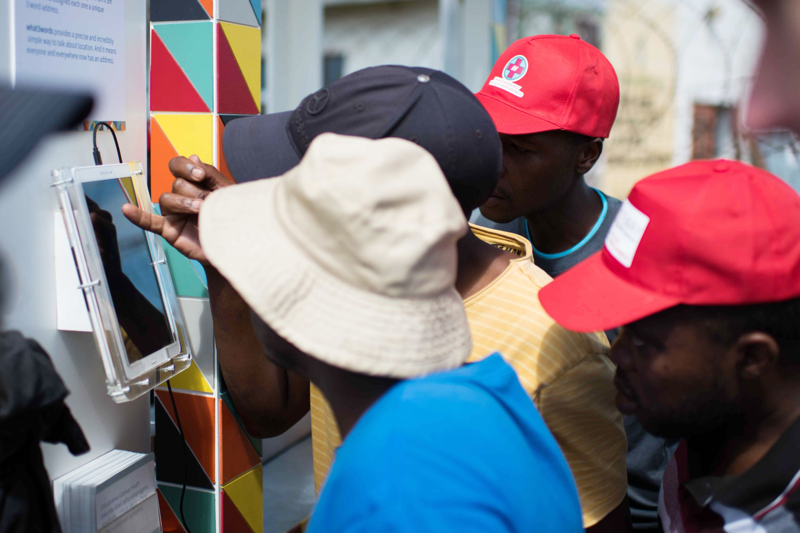 Global addressing system what3words and NGO Gateway Health Institute are working together in the informal settlement of KwaNdengezi, enabling emergency services to find people in need. It’s Thursday morning in KwaNdengezi. In a clearing outside the community hall, with grass poking through the crumbling tarmac, a crowd is gathering. The women cluster together, laughing and chatting with their neighbours, several bouncing wide-eyed babies on their hips. Men stand in groups, or lean casually against walls, curiously eyeing a colourful handcart that is setting up in the centre of the clearing. 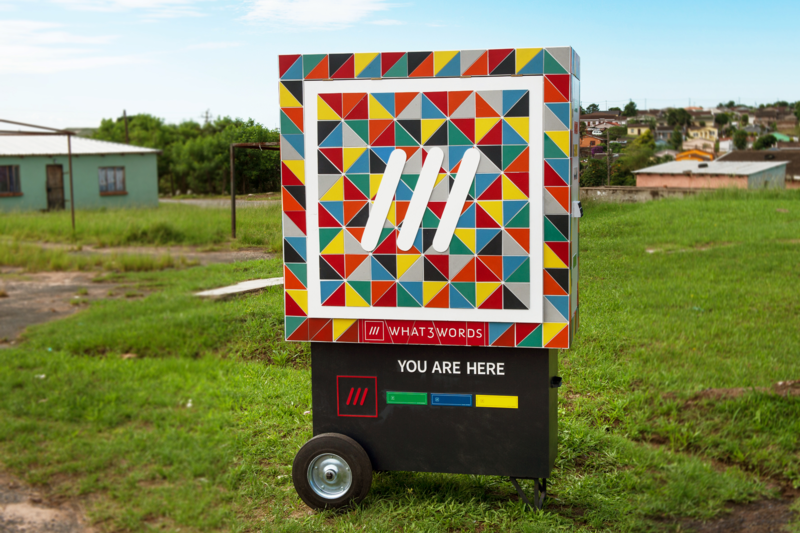 This cart is the first of its kind - it isn’t peddling fruit, cleaning products or cheap mobile phones - it’s creating the township’s first home address signs. KwaNdengezi, in the province of KwaZulu-Natal, sits on the very western edge of Durban’s townships. Around half of South Africa’s urban population lives in townships and informal settlements, accounting for 38% of working-age citizens, but home to nearly 60% of its unemployed. KwaNdengezi has a population of around 54,000 people, and its 11,000 homes range from solid brick buildings to self-built shacks of corrugated iron and wood. They dot the green hillsides, loosely connected by dirt roads. KwaZulu-Natal is one of the poorest provinces in South Africa, and only 73% of households have access to piped water. The province has a high incidence of health issues including HIV, AIDS, TB and childhood malnutrition. 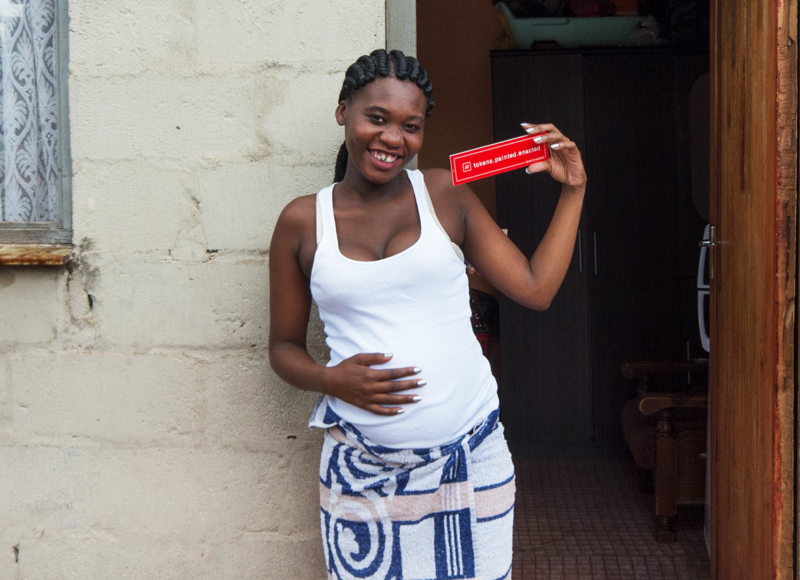 HIV infection amongst pregnant women is at 37%, which is 10% above the national average. 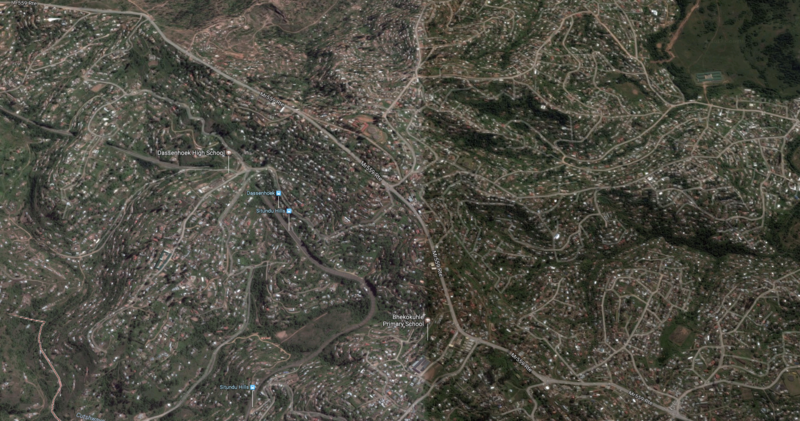 KwaNdengezi’s chaotic layout makes finding a specific location, or telling someone where you live, almost impossible. The majority of the criss-crossing networks of roads have no official names, and there’s no signage. The few houses that are numbered don’t follow a logical order. Residents rely on descriptive directions - ‘take a left at the church, then right at the school and it’s a red door’. These can be misunderstood or misremembered, require detailed local knowledge and take a long time to say. There are also no street lights, so using landmarks to find your way is almost impossible at night. Those who come into the community from outside, such as NGO workers and emergency services, face a real challenge locating the people they’re trying to help. 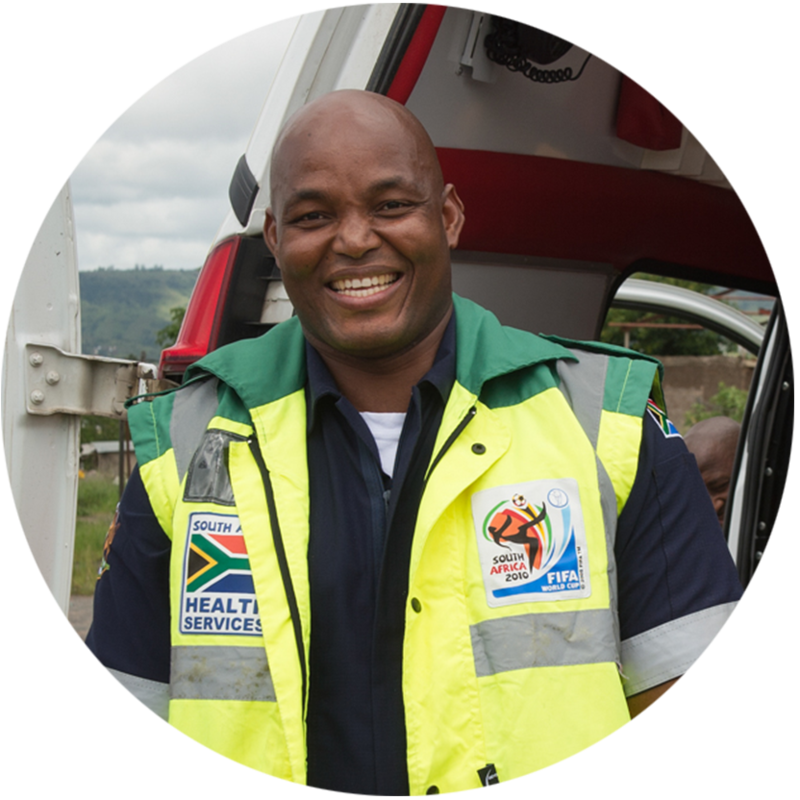 For the local ambulance crew, who cover the whole of the Durban area, a callout to the township means having to stop passers-by for directions multiple times. Even then, they are usually only given the nearest landmark - a school, church or shop - where they meet someone who guides them to the location of the emergency. 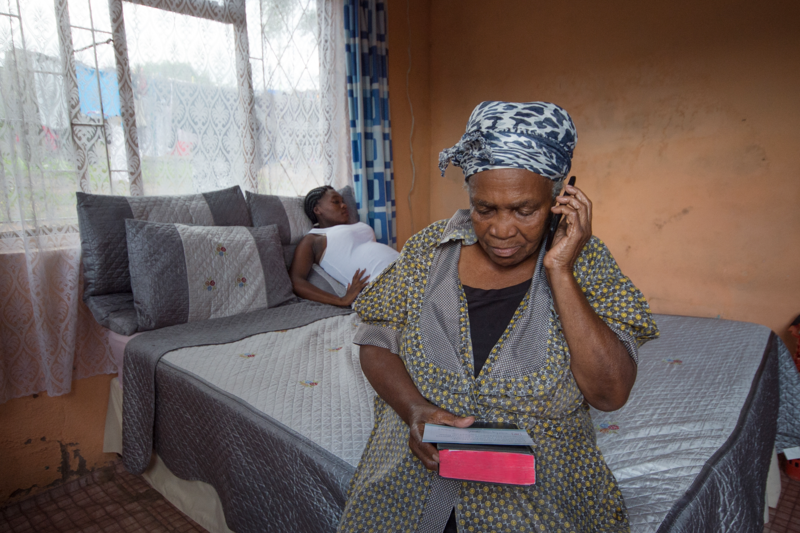 The average response time for KwaNdengezi is 2 to 3 hours, but often the waits are far longer. In an emergency, every second counts and lives have been lost waiting for an ambulance. A key figure is the community here is Dr Coenie Louw, founder and director of Gateway Health Institute. 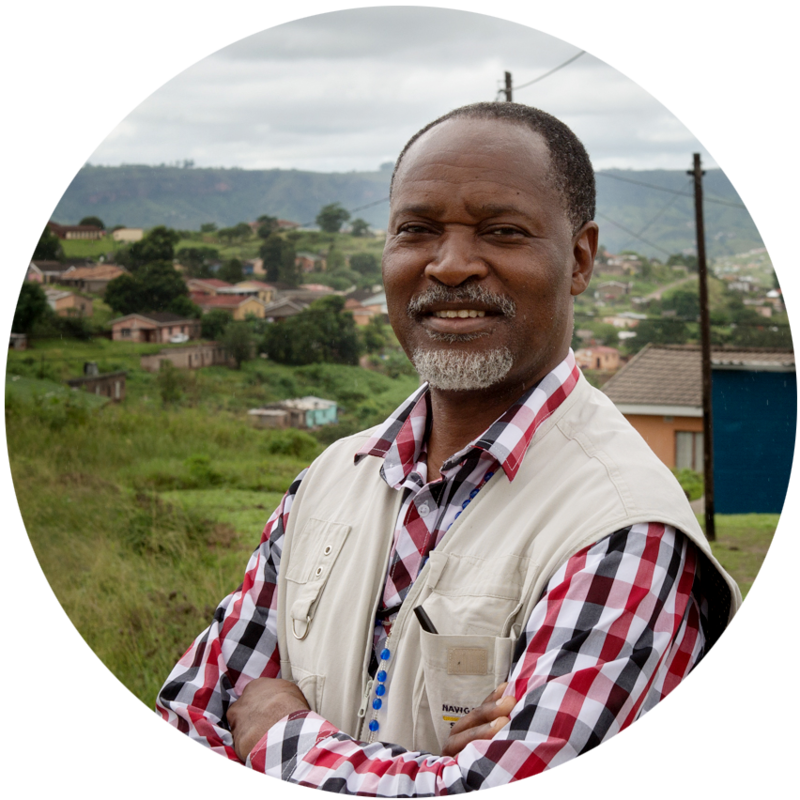 Gateway Health runs essential community programs in South Africa’s townships and informal settlements. It helps to deliver medicine, supply emergency transport for women in labour, map the location of clinics and health facilities, and even identify hot spots for human rights abuses. But the success of all these projects is reliant on being able to locate people and their homes, an issue that has been making the organisation’s work difficult for many years. "I spent 2 years trying to find a way to actually pinpoint the location of a pregnant woman in distress", Coenie says, shaking his head. In KwaNdengezi, 50% of women give birth at home, and ambulance response times are too slow to help them if something goes wrong. Coenie was determined to find a solution to help the community. He experimented with using cell phone mast data to triangulate the calls for assistance, but found that the resulting location could be up to 3km out. Turning to the internet in desperation, Coenie stumbled upon the perfect solution - what3words. It’s a global addressing system that has divided the world into a grid of 3m x 3m squares and given each one a unique 3 word address. You might use it to meet a friend in a park at ///table.lamp.spoon, for example, or have a package delivered to your office door at ///index.home.raft. It provides a precise and incredibly simple way to talk about location. And it means everyone and everywhere now has an address. 3 word addresses are the ideal solution for KwaNdengezi. 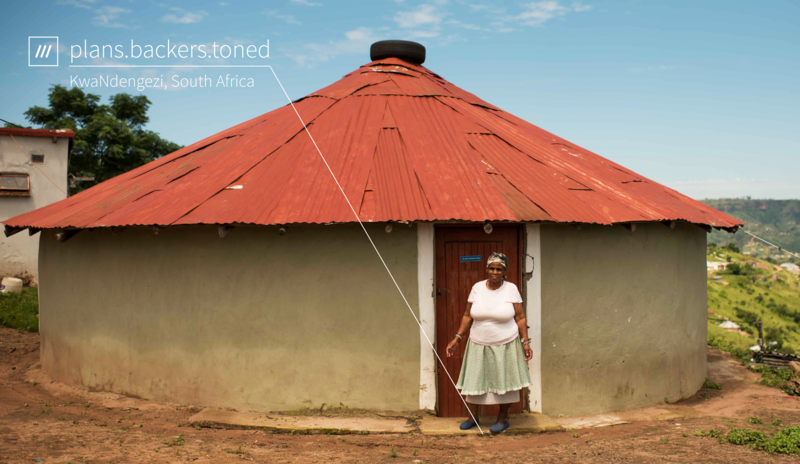 The what3words grid system means that every part of the township - including homes, community centres and facilities like water pumps - already has a pre-assigned and fixed address. As each address is just 3 words long, it is easy to remember, and simple to communicate over the phone or via SMS. The what3words app can be used anywhere, without the need for a data connection. It’s free to download, and the small file size means that it works even on the most basic smartphones. Coenie has a team of 11 local young people, who were all unemployed until starting with Gateway Health. He has trained them to help residents discover and use their 3 word address. The address is written down on a special card and most keep it safely in their bible - so it’s always easy to find in an emergency. He has also run training with local emergency services, teaching them to quickly find and navigate to any 3 word address they are given over the phone or via SMS. Today Coenie and his team are trialling the next big step in the KwaNdengezi addressing project - a portable address-printing machine. Built as a collaboration with what3words, the colourful cart prints 3 word addresses onto eye-catching and durable signs that residents can display on the outside of their houses. At the cart, residents who already know their 3 word address through Gateway Health’s projects are collecting their printed signs. Others, who don’t yet know their 3 word address, are being helped by Coenie’s team to discover it for the first time. Using a tablet to display an aerial map of the township, the resident identifies their house, and simply zooms in until they can see which square of the grid their front door sits in. 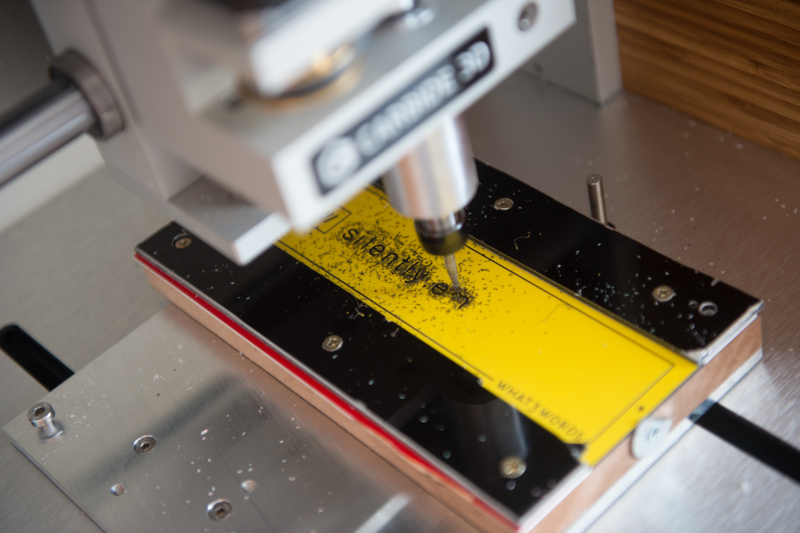 A 3 word address sign is then printed on the spot for the proud new owner to take home. 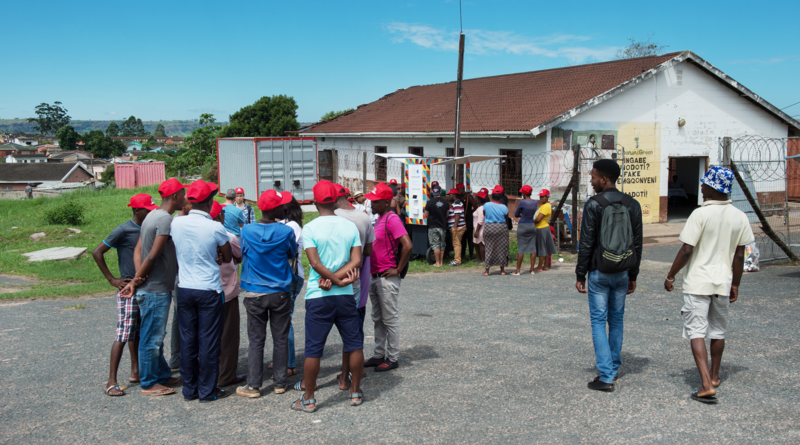 3 word addresses are giving KwaNdengezi’s residents an accurate and reliable way to talk about where they live, for the first time. For pregnant women, it makes a world of difference as medical services can now locate them to provide essential pre-natal care. And if anything goes wrong during the birth, ambulance crews now know exactly where to go to reach the mother and provide life-saving help. All residents also have the option to store their 3 word address in a database, allowing health services to build up a record for those living at the address over time. Most residents have never had a home address before, so using it will take time to get used to. The printed signs filling the township will remind them to use their new address, and keep it in the forefront of their minds. They will also make it easier for services to identify the correct house. In addition to addressing homes, Gateway Health is identifying the 3 word addresses of critical community assets including local government centers, medical facilities and clean water pumps. These are also being given printed signs, and will be listed on a detailed community map, helping residents, businesses and organisations to locate essential services and improving the community’s standard of living. The addressing problems faced by KwaNdengezi’s residents are not unique to their area, or even to South Africa. 4 billion people worldwide do not have a reliable address. This can deny them basic human rights such as medical treatment and legal representation. It also makes it near impossible to start their own business or get things delivered. Particularly in the world’s poorest areas, internet access and smartphone ownership are on the rise, meaning more people than ever have the potential to participate in the online economy. But increasingly it is poor addressing, rather than cost or internet access, that is the main barrier. what3words gives everyone in the world a reliable address, levelling the playing field and empowering poorer communities. "There are one billion informal settlement and slum dwellers worldwide, and this is expected to increase threefold by 2050." 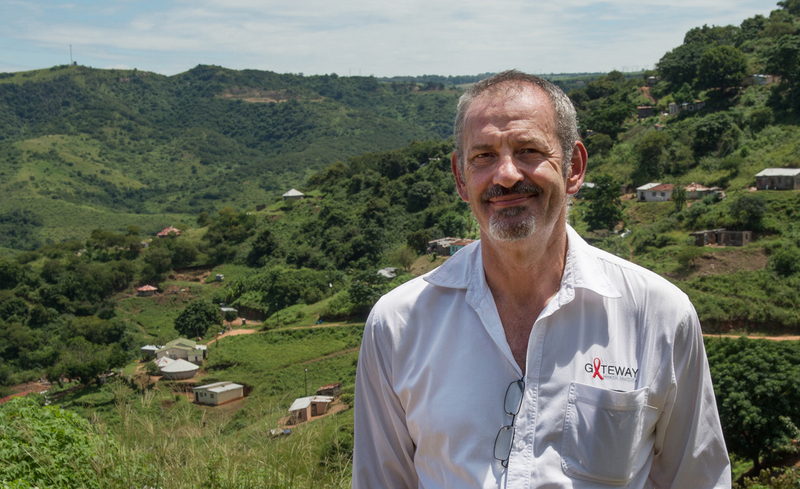 Gateway Health is one of the many diverse partners what3words is working with in Africa. 3 word addresses have been adopted as a national addressing standard for the postal systems of Côte d'Ivoire and Djibouti, enabling nearly 24 million African people to receive post at home, many for the first time. what3words is also being used by In2Care, a health NGO, to distribute and monitor mosquito nets in Tanzania, helping to control the spread of disease. And in Ethiopia, on-demand delivery company DeliverAddis are using 3 word addresses to efficiently deliver takeaway food to customers who have never had a reliable address for delivery before. Back in KwaNdengezi, Coenie and the Gateway Health team are packing up for the day. Around 100 people have printed their unique 3 word address sign and proudly displayed it on their home. Coenie’s eventual goal is to address every home in the township. He knows it won’t be easy, but today has proven it’s possible. After that, he hopes to replicate KwaNdengezi’s success across South Africa and beyond, improving the human rights as well as the health of the world’s 4 billion unaddressed people. KwaNdengezi’s Ward Councillor, Mr Mbanjwa, shares Coenie’s belief that today’s success is just the beginning. "We are pioneers - this township is where it’s going to start and then spread all over the country. I am very proud to be a part of this new project."